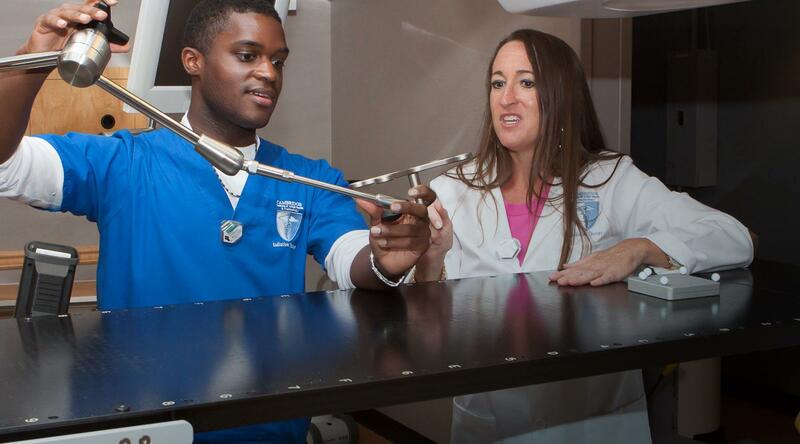 Get a head start on beginning a new career in the highly skilled trade of radiation therapy with an education from Cambridge Institute and their Radiation Therapist Program in Atlanta, GA. Using state-of-the-art technology and hands-on instruction, Cambridge Institute strives to graduate confident individuals that are prepared to achieve success in their important roles in the health care industry. Treating diseases utilizing machinery that focuses high-frequency, penetrating radiation beams on a patient is the main task of radiation therapists. Radiation therapy can be used as a lone treatment or in conjunction with surgery, chemotherapy or immunotherapy. One of the most common uses of radiation is for the treatment of malignant cancer. It is the responsibility of a radiation therapist to accurately provide and record radiation treatments as prescribed by a radiation oncologist. Therapists often have constant contact with the patients that they care for and as such must possess excellent interpersonal skills to effectively communicate impending procedures and possible side effects while also reassuring any concerns of the recipient. Radiation therapists can also refer patients to physicians, care takers or social service professionals if needed. Radiation treatments involve a lot of skill and precise attention to detail. Radiation therapists must have an excellent command of their trade and be able to work successfully under pressure. At Cambridge Institute, we offer a program at our Radiation Therapist Program in Atlanta, GA that will provide you with all of the essential training necessary to become a confident and successful professional in the field of radiation therapy. Our coursework is specifically focused on addressing each one of the clinical, theoretical, technical and psychological aspects that students will likely face while performing their duties in this rewarding field of health care. We implement relevant clinical rotations and the most advanced machinery available to ensure that students get the highest level of preparation to enter the workforce as a skilled professional. After graduation, students will be able to work in a variety of medical settings as a radiation therapist such as hospitals, clinics and universities. Contact the staff at Cambridge Institute to begin the process of entering into a career in this exciting field of health care with an education from the School of Radiation Therapy in Atlanta, GA today.